Hurry UP!!!! March 27, 2019 is last date to register! 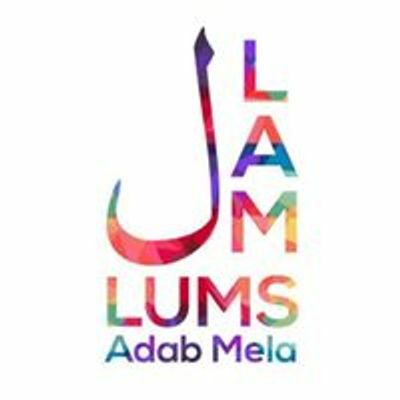 LUMS Literary Society is bringing LUMS Adab Mela (LAM) to promote Pakistani literature through engaging students, from various educational institutions, in several competitions, workshops, sessions, and social events. Students from a wide array of schools, colleges, and universities, from all over the country, will be participating in the two-day flagship event. It is the mega social event of the grand LLF. ‘Mushaira’ will be free for all participants. It will be attended by several renowned poets like Anwar Masood, Khursheed Rizvi, Moeen Nizami, Abbas Tabish, Yasmeen Hameed, Hamida Shaheen, Amjad Islam Amjad and many others. The social event featuring Arif Lohar will be organized on the first evening of event. -	Event is spanned over two days: Saturday, 6th April & Sunday, 7th April 2019. -	You can participate in maximum five competitions and workshops. Moreover, Non-participants should pay charges of PKR 500 for just attending socials and sessions.